Storms can be scary. Between the lightning, the pounding rain, and the darkness that goes along with them, storms can easily put a thunderous interruption into your daily routine. Said noisy interruption can have double the impact when you are trying to sleep during the crashes and flashes of a storm. So, in an effort to help our customers weather any storm, we’ve put together some tips to help you get back into your sleep routine, no matter what is raging outside. While we don’t have a magical storm signal blocking machine that can turn storms on and off at will, we do have some other – and more realistic – suggestions for helping you get to sleep during a storm. Though, hopefully somewhere somebody is working on that storm blocking machine. Storms are loud, but that doesn’t mean that you can’t fight fire with fire. Or in this case, sound with sound. Earplugs can help quiet the world around you, or you could even use white noise to help cover up the sounds of the storm. Crawl into bed, get nice and comfortable in your amazing Sealy Posturepedic mattress, and use earplugs or white noise to create a shield that protects you from the storm. If all goes well, you’ll be off to sleep before you know it! If the lights and sights of the storm are what gets to you, blackout curtains could be a good way to go. They’ll help you block that raging visual display of electricity outside your window and provide you with a dark place to close your eyes and get some rest. Of course, curtains aren’t going to solve all of your sleeping problems: You still need a good foundation underneath you. That’s where Sealy Posturepedic comes in — with a Sealy Posturepedic mattress at your back, you’ll be able to get the best sleep possible, no matter what is going on in the world outside. There’s also another force you can use to combat the storm raging outside: your own mental ingenuity. There are a couple of different things that could help at this step, and most of them you’ll be able to do right from the comfort of your own bed. The idea is distraction, so yoga or meditation before bed could be useful in getting yourself into a sleep-ready mood. You could also try reading or journaling as other activities. 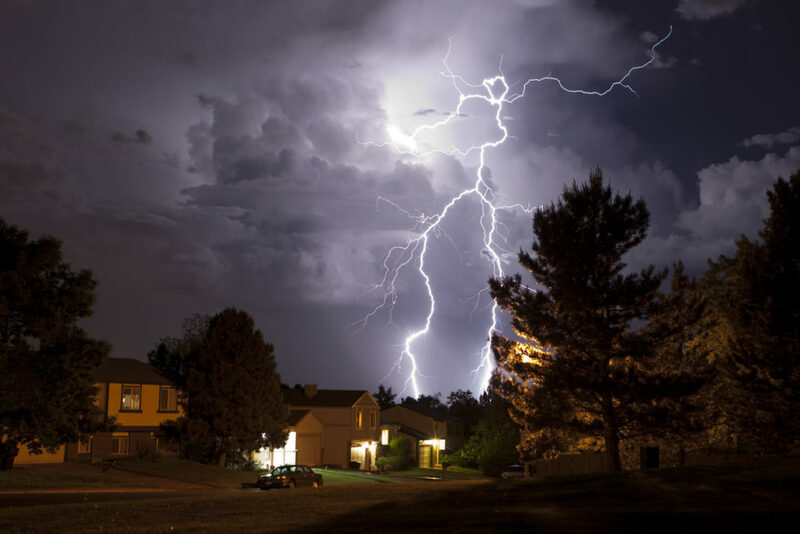 Sleeping during a severe storm can be tricky, but there’s no reason to let the storm get the best of you and ruin what could otherwise be a night of perfectly good and undisturbed sleep. Your mattress is the foundation of all of your sleep habits, so you want to make sure that a Sealy Posturepedic mattress is there to support you when you need it most. But, if you aren’t happy with your mattress – even on nights when it isn’t storming outside – then it is probably time to give us a call! We’ll help you find the best and most comfortable Sealy Posturepedic mattress that meets all of your sleeping needs.